Sponsors of Clare Teal – Salisbury Arts Festival | Richard Griffiths & Co.
We are really looking forward to the start of the Salisbury Arts Festival at the end of this week. 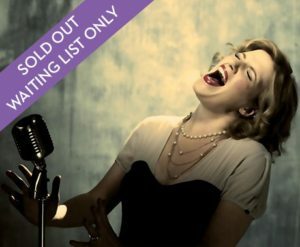 This year we have teamed up again with Wiltshire Life to sponsor the fantastic Clare Teal who will be performing the Ella Fitzgerald songbook on 31st May 2017 at the Salisbury Playhouse. 2017 marks the centenary of the original first lady of song, Ella Fitzerald. Clare Teal, award-winning jazz vocalist and Radio 2 presenter will be performing with her mini big band for this special celebration of Ella’s versatility. Richard Griffiths & Co and Wiltshire Life will be hosting a welcome reception for their guests in the Playhouse’s Hawkins bar before the event with canapes provided by Bird & Carter for our guests to enjoy. If you are fortunate enough to have tickets for the sell out event check out your seat before you sit down in the auditorium – you may well find something there for our fellow ticket holders and fellow jazz enthusiasts to enjoy.